A unique beach front private villa, comprising of 4 apartments within a single walled garden making an ideal investment opportunity. A consistent income record & bookings into 2018. 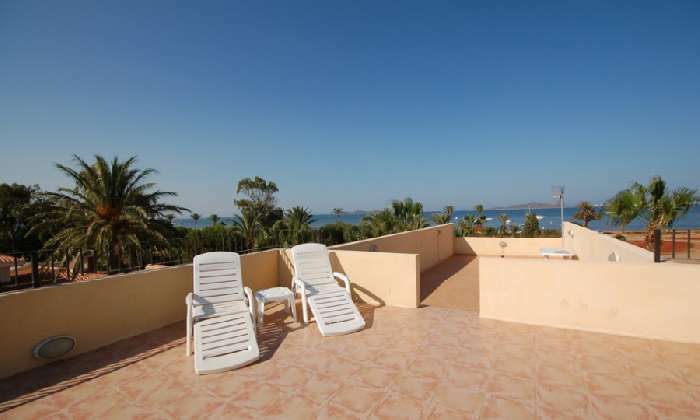 The Beach House for sale in the Murcia region of Spain is a beautiful beachfront villa that contains 4 separate apartments. 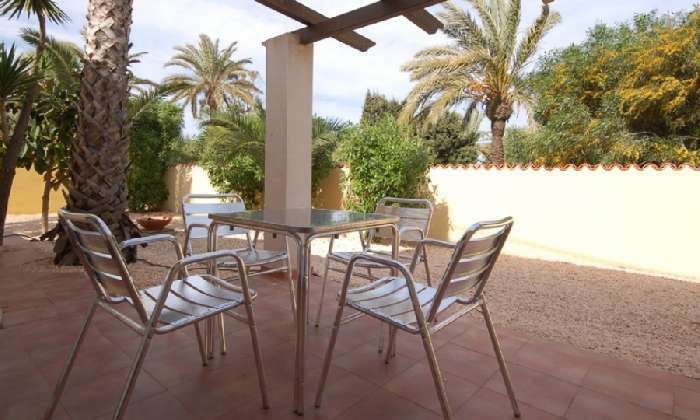 This 380 sqm villa is located in the small village of Los Urrutias about 16 kms from San Javier Airport and the apartments are made up of 2 x 2 bedrooms, 1 x 3 bedrooms and 1 x 4 bedrooms, all totally self-contained. The property has consistently generated 40,000 sterling in revenue for last 6 years. The Beach House can sleep 22 guests in total and contains 7 double bedrooms, 4 twin bedrooms and 7 bathrooms and WCs. It has complete privacy within a walled garden of 800 sqm that features a communal barbecue and 8 m x 4 m private pool. 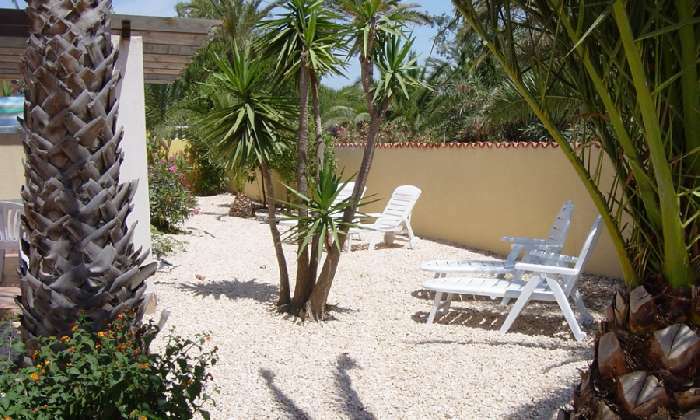 The villa also has access to the facilities of Estrella de Mar urbanisation that includes a pool, tennis, mini golf, shops, bars and restaurants. 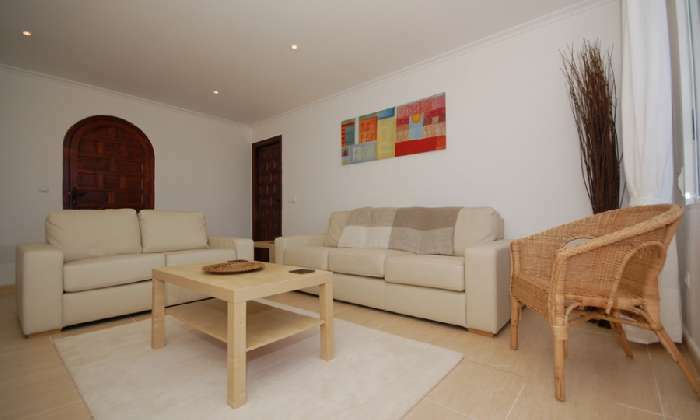 The property is fully furnished with air conditioning and a traditional Spanish feel, giving comfort and style. It opens onto a spacious terrace with a barbecue, the perfect area for relaxing and al fresco dining. Guests also have access to the roof terrace that enjoys panoramic views of the Mar Menor, La Manga Hills and the Estrella Club. 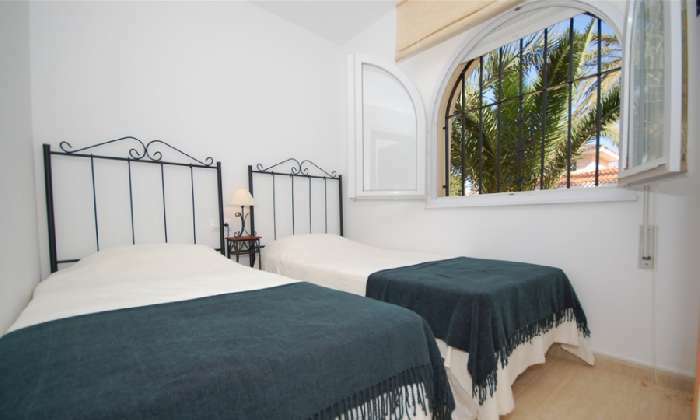 This apartment is the mirror image of La Siesta and also contains a lounge, fully fitted kitchen, double and twin bedrooms and a bathroom. It too is fully furnished with contemporary style furnishings and opens onto a terrace with barbecue area and is ideal for sunbathing and relaxing. It is fully furnished including air conditioning and the guests have access to the roof terrace to relax and enjoy the fabulous views. The lounge is spacious and open plan with a large sofa and a fully fitted kitchen with microwave, electric hob, oven, dishwasher and fridge freezer. 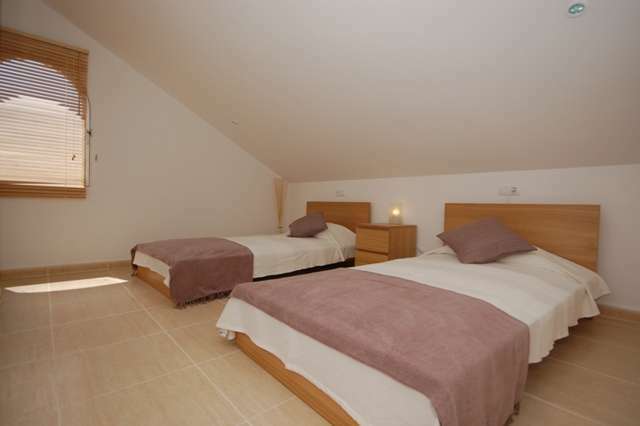 The apartment has 2 double bedrooms and a twin bedroom with a shared bathroom. It comes complete with air conditioning and has a private terrace with barbecue as well as access to the roof terrace for sunbathing and relaxation. 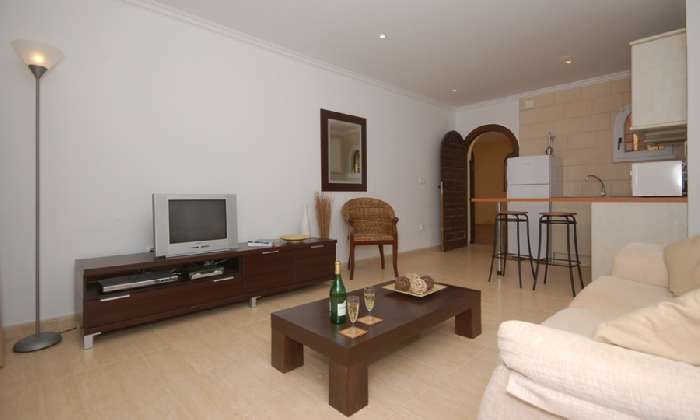 This is the largest apartment with 3 double bedrooms and a twin bedroom. It has air conditioning throughout, the master bedroom is an en-suite and there is a spacious 18 ft bathroom as well as a further toilet and washroom. The lounge is comfortably furnished and the kitchen is fully fitted with a microwave, electric hob, oven and large fridge freezer and has a spacious dining area. 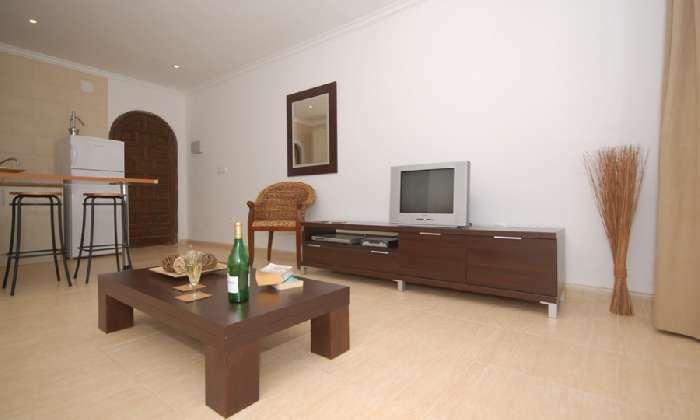 This apartment is also fully furnished to a high standard and guests have access to the spacious roof terrace which is ideal for the hardened sun worshippers and the views take in the Mar Menor to the east, the town and surrounding area to the north and west and the beautiful coastline to the south, a fabulous place to relax. The location of the villa is perfect for rental to golf lovers with over 30 high-quality golf courses within a short driving distance. The Beach House, in the past, has offered groups of golfers independent self-catering facilities within this single villa, so they enjoy being part of a private community while still having private accommodation. 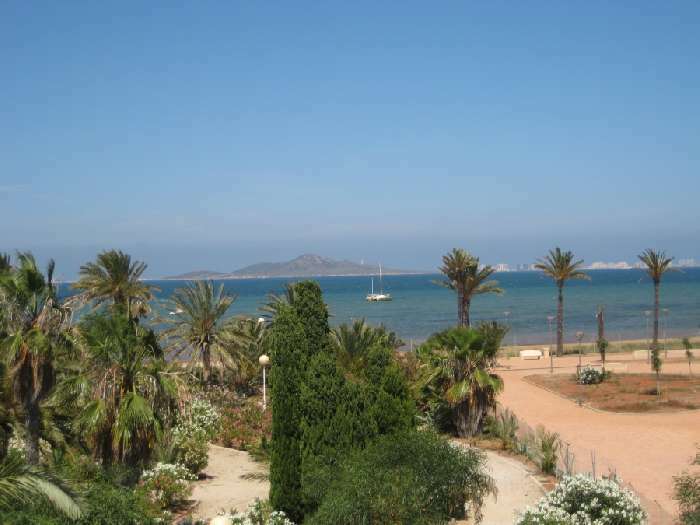 This area is a World Health Organisation ranked location due to high water and air quality and is close to the many resorts in the Mar Menor region of Murcia. San Javier Airport in Murcia is less than 16 kms away and it is only 10 kms to La Manga club a sports and leisure resort with fantastic facilities. 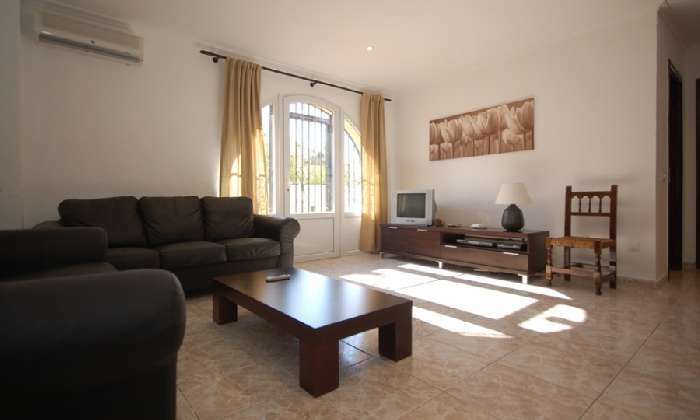 This is a wonderful investment opportunity to buy a property in Spain that comes with 11 weeks of 2018 bookings. 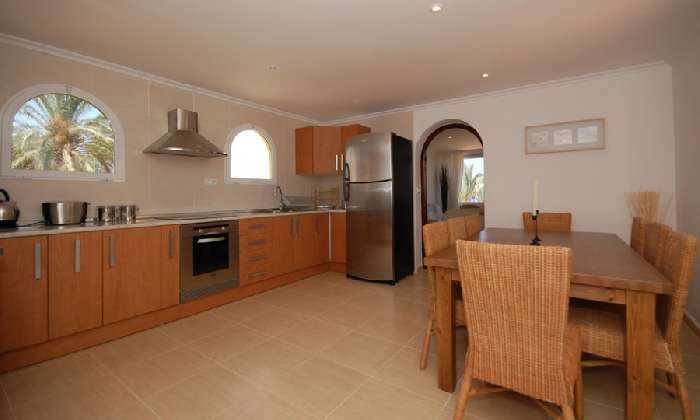 This is a fully furnished property with a full itinerary to cater for holiday letting self-catering rentals. All apartments have double and single beds, wardrobes and bedside tables, full kitchen and bathroom facilities, sofas, chairs, SMART TVs and accompanying furniture. There are 7 bathrooms some with baths and others with shower enclosures, the largest one has a bath, shower enclosure, jacuzzi and bidet.